Robert Hunter – Gone for Good – Single Review | The Ark of Music – The best music in the world…you never knew existed. Danville, PA native, Robert Hunter, has a lot to say. Without exaggeration, it is safe to suggest that this Americana, alt-rock, singer/songwriter is in a constant state of forward motion. Just last year, he released his Nashville, TN produced debut EP, Outta My Mind, which quickly earned him worldwide fanfare and radio-play. 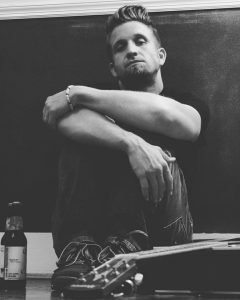 With little hesitation (or time to celebrate), Robert quickly returned to the studio to complete his second EP, Afterglow. And, while the lead-off single of that EP—the nostalgic, Gone for Good—is the subject of today’s scrutiny, we feel it’s worthwhile to mention that Mr. Hunter is already settling plans to begin work on his third EP. This kind of work ethic makes me smile, because I know we’re going to keep getting his best. In the meantime, his new single, Gone for Good, has just dropped, and quickly proves that the hype that has been generated around Hunter is well-earned. A throwback to the heavy-hearted, electric guitar-laden songs of love and loss that saturated the 90’s and early 2000’s, Gone for Good’s wise production and writing will feel very familiar to Generation X’ers, and will give the Millennials—and beyond—a lesson in real, blue-collar music, made with real musical instruments by real, blue-collar musicians. Ironically, hearing of his struggles makes the record that much more enjoyable, that much more relatable. We’re glad he stumbled over and over. We’re glad he pushed through. We’re glad he finds therapy in his guitar. 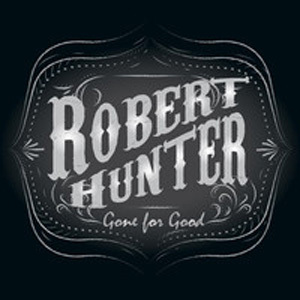 BELOW, you can watch & listen to Robert Hunter’s single, Gone for Good, connect with his website and social media platforms, and find his booking & contact info. Please support Robert Hunter by visiting him online, and playing, downloading, and/or purchasing his music. And, as always, thank you for supporting real music!